Throughout Southeast Asia, hot soup is eaten year round. 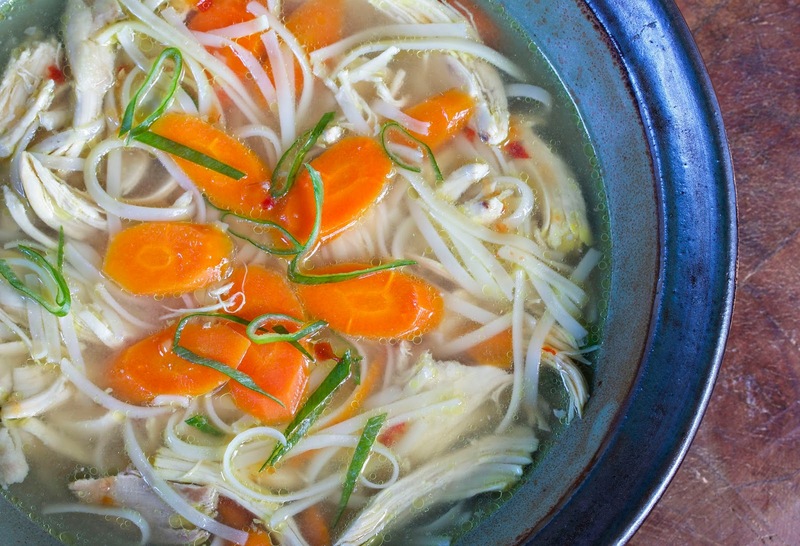 Even though it's counter-intuitive, eating hot soup when the temperature is high causes your brain receptors to kick in and start to cool you down. Or maybe you have a summer cold? In any case, a bowl of fragrant, golden and savory chicken noodle soup is always welcome and nurturing. See link here to make the broth. I spent 1 1/2 hours gently simmering the whole chicken plus other ingredients. I put the cooked chicken in the fridge, and spent another 1 1/2 hours reducing the stock. I refrigerated both the chicken and stock overnight. The recipe made about 5 quarts of stock. 1. Put 1/2 a pack of Annie Chun's rice noodles in a large bowl of hot water to soften. 2. While the noodles are soaking, add 1 quart of chicken stock to a 5-quart pot and heat to a low boil. 3. Cook the carrots in the broth until softened (about 5 minutes). 4. When the noodles have softened in the warm water (about 10 minutes), add them to the pot and finish cooking through. Shred the chicken pieces with a fork, and add them to soup to heat up. 5. 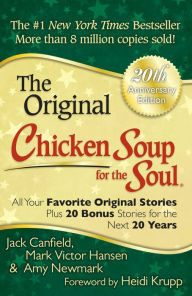 To serve, ladle the soup into bowls and top with chopped green onions and oil(s). Use the stock and chicken within 3 days, or freeze for up to six months.